There’s no serenity when updating Bearenity….. 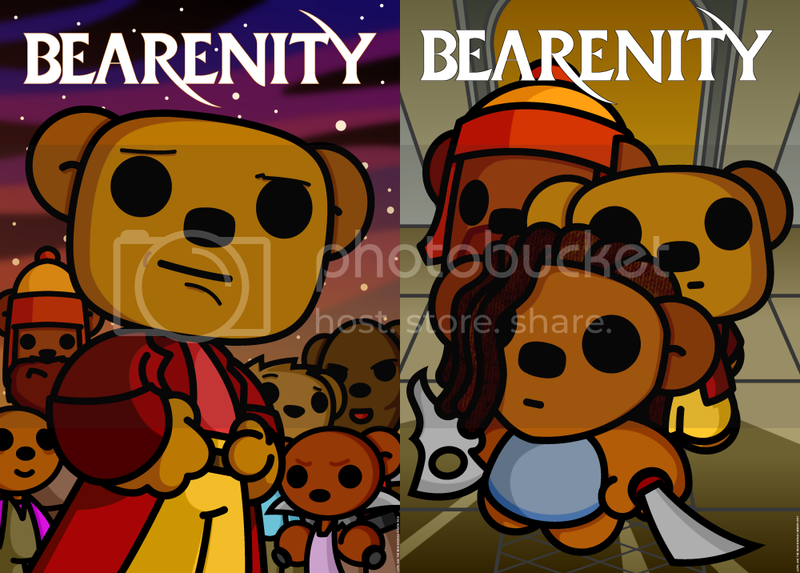 So a few years back I did a parody print about Firefly/Serenity called Bearenity. I love both the show and the movie (despite not actually caring about the series first time around until I was given it on DVD *embarrassed*) and I really wanted to get the entire cast in the shot but it just wasn’t happening! I mean, there’s nine cast! NINE! 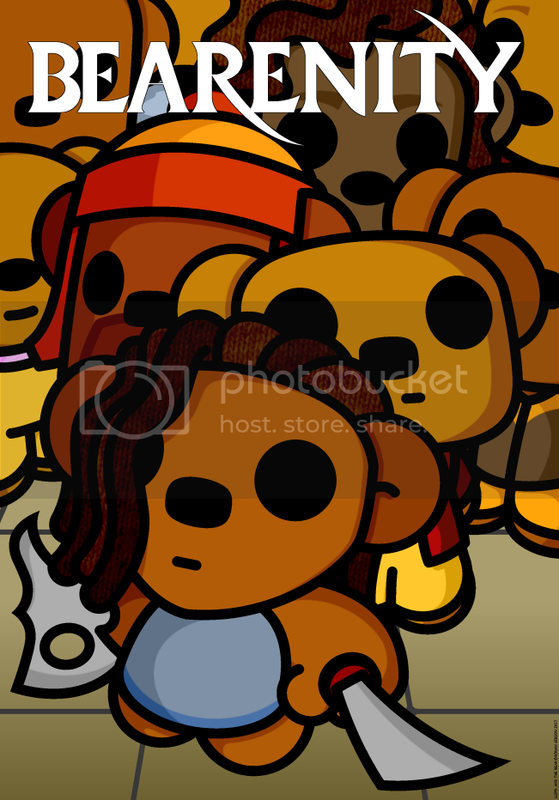 Add to that my landscape rectangular headed bears then you’ve a job on your hands to fit them all in! I ended up going with the one below on the left and was happy with it. As time went on thought I wanted to have another crack at the print and came up with the picture on the right which had a greatly reduced cast. And here’s the thing, the print bugged me but I couldn’t at first work out why. But then (and, DUH!) I realised the problem! It needed ALL the cast! See, the weird inner workings of my brain felt that if I put in all the cast but with some of them you would only see a wee bit of their face it would upset the fans. But hey! Not having cast members AT ALL must surely be worse, right? So I got to working on it again and have now come up with this! What do you think? And hey, not to sway your judgement but we don’t want my weird inner working brain to be right, ‘kay? Also, check our social feeds tomorrow as I’ll have another new print (possibly two) sci-fi related prints that tie in to an important date in the spacey fighty calendar!